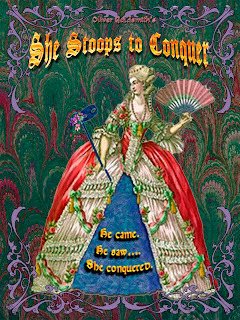 She Stoops to Conquer, written by Oliver Goldsmith in 1771 is considered the funniest of 18th century drawing room comedies that has continued to be regularly performed today as a favorite with contemporary audiences. It tells the simple story of a young city man's courtship with a wealthy country man's daughter, disjointed by mistaken identities, fear, silly pranks, class faults, romance--all of which heat up the evening with laughter. 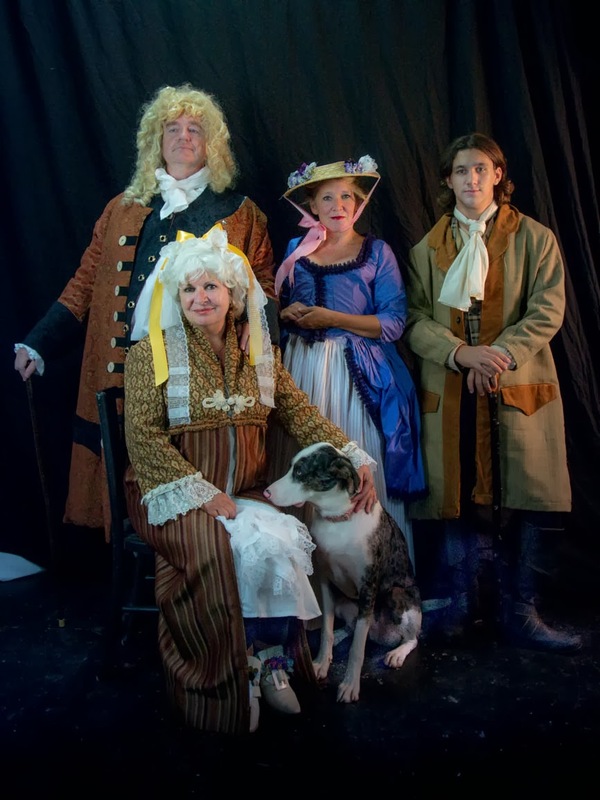 Directed by Lauren Greene Whyte, the cast of 13 romp the stage in original custom costumes that mark the era. Live music by Alice Wallace creates fresh and vibrant accompaniment. Running September 12 to the end of the month at Cité Des Arts, you cannot miss this luscious visual as it promises laughter and howling. September 13, 14, 15, 20, 21, 22, 26, 27, 28 & 29th tickets are $15.00 7:30pm & 2:00 Sunday matinees. Reservations 337-291-1122, website www.citedesarts.org. Order tickets online with Paypal.